Every time I talk to the masterminds behind the game of Fluxx from Looney Labs, I revel in the fact that they can continue to create similar (yet different) games all based on the same basic game mechanic. Once you learn the concepts for playing a game of Fluxx, you can switch gears and learn another version of it. All you need to worry about is learning about the rules or specific cards that are unique to a particular version of the game. Some people think every Fluxx is a copy of the original, but they actually all have their nuances. When skinned with a theme like science, they become educational in addition to being entertaining. One of the most recent versions of the game is Anatomy Fluxx. With cards named for bones, organs, bacteria and viruses, you’ll find yourself learning without even realizing it! 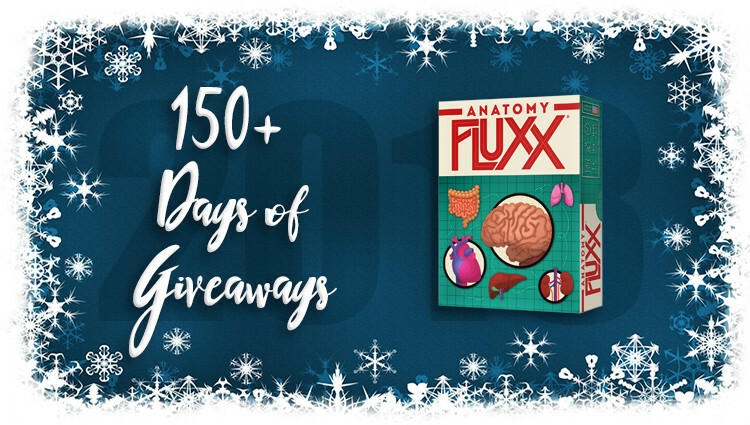 You”ll see Anatomy Fluxx featured in an upcoming guide filled with educational gift ideas, but for now we’re excited to have it as part of our Mega Giveaway. 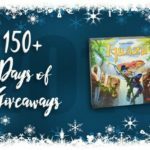 What the Fluxx Are You Getting This Year? There could be a Fluxx game with diseases. Or authors. Music Fluxx would be neat. Where there are cards featuring socialization, late mornings, all day PJs, nosy neighbors, other people’s children, weekday family outing, etc. Some kind of Art Fluxx for my art obsessed daughter! Is there one about food/recipes/ingredients/cooking? I would win that one! We love original Fluxx but haven’t played any of the other versions. This one looks really fun. Thank you, Mark! Glad you enjoy Fluxx. This one is quite a lot of fun… and you learn anatomy along the way! Hi Everyone! I’m Laurie from Looney Labs. Thanks for all the great suggestions for Fluxxes! We’d love to make all of these, but it may take us a while. 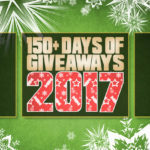 Best of luck to all of you in the contest! They have SO many already; it’s hard to think of new ideas! I also think an adult version would be fun. I’d love to see a Stranger Things Fluxx! Or, Marvel Cinematic Universe Fluxx!! Books or authors! I love literary games. TEA!!!!!!!!!!! Disk world book series!!!!!! Fluxx with cats would be neat!